I want to see B.Ed Examination timetable of Mahatma Gandhi Kashi Vidyapith . Will you please provide the procedure to reach the page where I get information about datesheet ? As you are looking for B.Ed Examination date sheet of Mahatma Gandhi Kashi Vidyapith ,here I am providing the process to reach the page where you can get detailed information . Click on timetable which is on the left side of the page . Click on B.Ed. 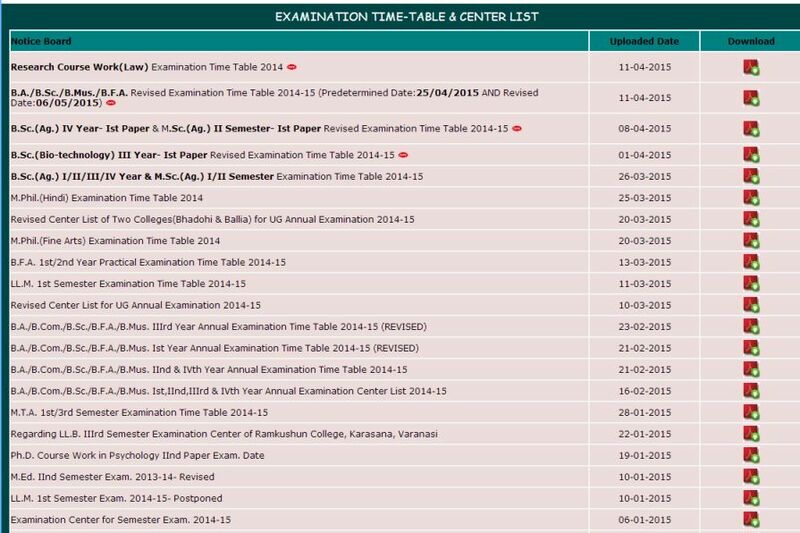 Annual Examination Time Table , you will get information in the PDF format .